How well does Alberta’s police watchdog protect citizens and officers? Everything we know about what really happened to Sammy Sobieh exists in a few minutes of silent video from two stationary security cameras, in which the only thing in focus is the date and time: 08-21-2011 18:56:00. 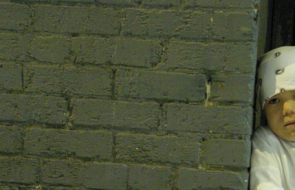 The first angle, in the back alley of the Edmontonian’s meat shop, shows Sobieh confronting a younger man on a phone. The business owner has a metal tool in his hand but doesn’t raise it. The young man retreats but doesn’t leave. At 19:00:42 a camera inside the butcher shop’s storage room captures three male officers entering the back door, weapons drawn. Sobieh arrives from the opposite entrance, and upon seeing the police, throws an object to the ground. He stops, arms akimbo. An officer shows him one raised palm. The 60-year-old raises both hands, then drops them, turns around and takes two steps. An officer kicks the back of Sobieh’s leg and grabs his shoulders. A second officer kicks the butcher’s knee and Sobieh falls on his hands. The same officer knees Sobieh’s head, causing him to collapse on his right arm. A third officer helps restrain him and the second kicks Sobieh’s side. The third hammers four blows to the butcher’s back, the second kicks him, presses a knee on his back and then pulls Sobieh’s right arm from beneath him. Sobieh is cuffed, the officers stand—and so begins Edmonton’s most contested allegation of police brutality in recent memory. Sobieh’s defence lawyer, Tom Engel, says the man who called the cops, and whom his client confronted in the alley, had threatened a meat shop employee the day before. He insists that Sobieh cooperated by freeing his hands upon seeing the police, and that he only turned his back to inform co-workers in the other room. He says the officers’ use of force was excessive and they acted like thugs. The Edmonton Police Service (EPS) members allege that Sobieh was belligerent and rejected their orders, that they had reason to believe he was dangerous, that even after he was face down they had to free his arm to be sure he was weaponless. Of the agency’s first 140 files, all but 10 exonerated the accused police officers. So just how objective or independent is ASIRT? Six years ago a case like this might have been investigated internally by the same police agency that employed the accused officers, but in 2008 Alberta’s Ministry of Justice and Solicitor General’s office formed the Alberta Serious Incident Response Team—or ASIRT (pronounced “assert”)—an independent unit to police the police. The unit has jurisdiction over every sworn officer in Alberta. Now, whenever an on-duty officer’s actions cause serious injury or death or whenever an off-duty officer is accused of a sensitive crime such as sexual assault, ASIRT investigates it objectively and independently. But in the first 140 concluded files between 2008 and 2012, all but 10 exonerated the accused officers, including Sobieh’s case. This makes critics like Engel wonder: Just how objective or independent is ASIRT? After you’ve entered the office tower in downtown Edmonton, passed a travel agency and a dental office and taken the elevator to the 15th floor, ASIRT’s heavily secured, bulletproof door is unexpected. But if you know the story of Lee Christopher Monrose, who entered the unit’s Calgary office in June 2010 and stabbed an investigator, then the renovations for security make sense. The 27 team members spread across Alberta’s two largest cities must live in two worlds, simultaneously addressing highly sensitive crimes and providing transparent public service. Monrose—who would eventually be found criminally insane—believed that the ASIRT investigator, an RCMP officer temporarily hired by ASIRT, was delaying a case against the Calgary police officers who had shot Monrose during a 2009 traffic stop. Another high-profile incident involved a St. Albert RCMP officer suing ASIRT for damages after the agency laid six charges that were later withdrawn for lack of evidence, charges which the officer insists were based on rumours spread by his ex-spouse, an EPS officer. For Clifton Purvis, ASIRT’s founding director and the person to whom all agency staff report, these incidents show it’s impossible to please everybody. “At the end of the day, somebody is going to be unhappy no matter what,” he told me in December, in the agency’s boardroom, two weeks before he would leave the organization he built from scratch for an interim position as assistant deputy minister to the Solicitor General. Before ASIRT opened on January 1, 2008, the only agency like it in Canada was Ontario’s Special Investigations Unit (SIU), an outfit so maligned that a 2008 report by that province’s ombudsman titled Oversight Unseen called it a “muzzled watchdog.” But unlike the SIU, the instigation of which was prompted in 1990 after allegations of police racism, Alberta’s agency wasn’t born from a crisis of confidence. Rather it was a proactive decision, said Purvis. Though this made his job easier, Purvis still went in knowing that failure to earn public trust from the beginning could harm ASIRT. Thus it was important to sever police agencies from investigations at the earliest point. All ASIRT cases are referred not from a city’s chief of police, but from the Director of Law Enforcement in the province’s Solicitor General’s office. Once a case is received, ASIRT assigns a head investigator, who might be a civilian such as a private detective, an intelligence analyst or, somewhat controversially, a temporarily transferred municipal or RCMP officer (though they can’t lead an investigation involving their home agency). Once the primary and his or her team complete the report, which can take anywhere from six to 12 months, it goes to the civilian director for review. If he or she doesn’t suspect an offence, the case is closed and the accused police officer’s supervisor can decide whether internal discipline is needed. If the director does suspect an offence, however, the case is sent to the Alberta Crown. Should both parties agree, the civilian director lays charges and the justice system proceeds as usual. Bob Kells, a retired RCMP officer and president of Calgary’s RCMP Veterans’ Association, told me he saw something like ASIRT coming in 1992, a decade after the Charter of Rights and Freedoms was passed. Canadians, he said, became more scrutinizing and demanding of law enforcement. “I was concerned at that time that the public wouldn’t stand for police investigating the police, and it was time to do something different to give credibility to investigation.” When officers investigated one another, biases naturally came into play. “They might not have interviewed everyone they should have, or asked the right questions, because they knew something internally,” said Kells. Maureen Collins, executive director of the John Howard Society of Alberta, which runs victim’s service programs, pointed out that the Director of Law Enforcement acts as a buffer between ASIRT and civilians by deciding which cases the team can investigate. 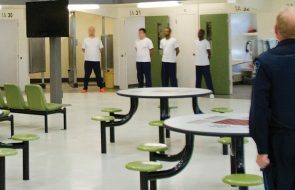 “If I get beat up in the remand centre or I have a complaint, I can’t just phone up as a layperson and get an independent body to look into it,” she said. However, ASIRT is a major step up from the old days, she said, and vetting the cases is necessary to keep the agency from becoming overwhelmed. Other governments are impressed by ASIRT. Several provincial and territorial police forces have hired the team to lead their internal investigations, and in 2011 the Canadian Armed Forces asked the agency to investigate the death of a young soldier in a CFB Edmonton detention cell (the death was ruled not suspicious and the case concluded without charges). On top of the 35 to 45 local cases Purvis sees each year, plus those from other regions, he has helped Nova Scotia, Saskatchewan, Manitoba and BC create nearly identical teams and is working with Quebec on its forthcoming police watchdog. Richard Roosenthal of BC’s watchdog, the Internal Investigations Office (IIO), agrees. “To my knowledge, there are no programs similar to the [ASIRT] model in the US,” he said. The IIO civilian director would know; he built and led less robust units in Denver and Portland. What sets ASIRT apart, especially from Ontario’s 23-year-old SIU, is its broad mandate. SIU only investigates “serious” incidents, usually defined by a civilian death or injury requiring hospital attention, but a third of ASIRT’s files are classified as “sensitive”—allegations of sexual assault, corruption, child luring. To that end, Alberta’s watchdog has jurisdiction over all sworn officers in the province, on duty or off, including the RCMP. Purvis takes responsibility for some challenges. In one of ASIRT’s first files, an EPS officer assigned to the new agency attempted to lead another EPS member to exoneration. When defence lawyer Tom Engel brought this conflict of interest to Purvis’s attention, the investigator was removed. Tom Engel has lost count of how many cases he’s represented against the actions of police where the officer was eventually exonerated by ASIRT, but he still maintains a good working relationship with Purvis. They’ve met several times to discuss Engel’s misgivings. Few of Engel’s issues have been addressed, largely, he thinks, because ASIRT can’t be truly objective as long as it hires—or “seconds”—active-duty officers. And even the IIO’s civilian director said BC’s system poses challenges. “[The investigator] needs to be made current, so they require a significant amount of training,” said Roosenthal. Engel would like to see ASIRT—if not remove officers entirely from its staff—adopt something similar to BC’s model. “I’ve looked at particular cases and it’s obvious when you compare them to prosecutions of citizens for assaulting police officers… there’s far less scrutiny, much less of an investigation,” he said. However, he believes ASIRT’s biggest flaw isn’t its use of officer/investigators, but what happens at the end—the fact that ASIRT’s director must seek the Crown’s approval, unlike police, who can lay their own charges. Because although ASIRT’s headquarters leases public space and is headed by a civilian, the view from the boardroom window doesn’t look to the street but rather to its creator, the Alberta Legislature. That’s who exonerated the three officers in the Sammy Sobieh case. Not Purvis. When the Sobieh file was concluded in October 2012, more than a year after the video was first shown by CBC, CTV and other media, the mini press conference looked different. Instead of the usual setup that saw Purvis before an ASIRT banner, speaking into a few mics, Alberta Justice assistant deputy minister Greg Lepp was present to explain how he and Purvis, analyzing the same video and same report, came to different conclusions. Because the police have training to use force if they suspect there’s a weapon, and because in Sobieh’s case his arm under his torso could have concealed a weapon, Lepp said no judge would likely convict the officers. “It’s not [Purvis’s] job to evaluate the case to determine whether there’s a reasonable likelihood of conviction,” he said. “That’s our job.” Purvis can only evaluate whether there is reasonable suspicion—a small but important difference. “Our standard is somewhat higher,” says Lepp. Purvis said it’s not the first time ASIRT and the Crown have disagreed, but this is their first public disagreement, brought on by extensive media coverage. If ASIRT were as transparent as the IIO, which publishes full reports for every case it completes, we would know how many charges would have been laid if ASIRT’s civilian director had the same power as police officers, who lay the majority of charges in Alberta, or the Crown. But ASIRT only publishes a sample of its completed files, and does so in small, single-page snapshots. However, even a cursory look through these shows several cases Purvis sent to the Crown for review, suspecting an offence, that concluded without charges. The officers in Sobieh’s case would likely have been prosecuted in Ontario, since the SIU director must lay charges whenever he suspects an offence. Last year alone SIU laid 15 charges from 110 concluded cases. 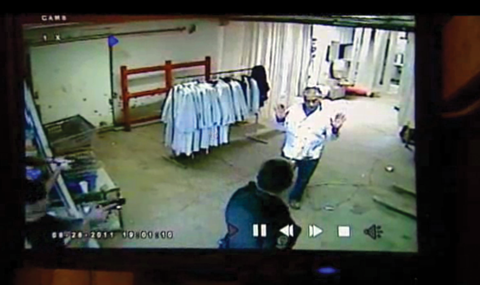 Security footage from Sammy Sobieh’s butcher shop, Aug 21, 2011. Ontario doesn’t measure success by charges either. 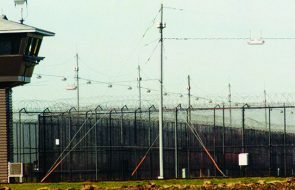 According to a scathing 2008 report by the Ontario ombudsman, that province’s conviction rate was a pitiful 16 per cent. Purvis wouldn’t want to see the same thing happen to the organization he’s since left. The Crown’s review of ASIRT cases, he said, safeguards against misconduct both in policing and prosecution. However, Engel thinks ASIRT can do better. Not only does he want to see future civilian directors laying their own charges, he thinks the legislation already allows this but just isn’t being enforced. Surprisingly, Purvis doesn’t deny this. But he thinks laying charges would be futile, because the Crown would just withdraw any case it doesn’t think stands a chance in front of a judge. “That’s why there’s this consultative process,” he said. The irony of the Sobieh case is that just as charges against the officers were dropped, so were those against Sobieh for allegedly threatening the man in the alley with a meat hook. Due to doubt over whether the officers acted lawfully, the Crown also favoured the accused in the charges against Sobieh. It could leave one wondering if justice was done. But not even Engel will dismiss ASIRT. Though he called it toothless, he also told me, “The investigative quality [of ASIRT] is much higher than what one saw when the police service investigated themselves.” And that’s one thing he, Greg Lepp and EPS chief Rod Knecht can all agree on. As Purvis eases into the Solicitor General’s office as an assistant deputy minister, he may have more power policing the police than before, and not just because he’s now Lepp’s equal. His new position also encompasses the Director of Law Enforcement, meaning he chooses what ASIRT investigates and he can give the prosecution his opinion on any files his interim replacement, Calgary prosecutor Jane McClellan, sends up the chain. Omar Mouallem is a National Magazine Award nominated writer, Metro News columnist and rapper. He lives in Edmonton.